Faculty and staff are invited to join Webster Staff Alliance and the Online Learning Center for an engaging webinar presentation on using Growth Mindset and fostering Grit in higher education learning environments. This webinar, presented by Innovative Educators, will provide several practical approaches to course design and assignments that can be adapted for use in a wide array of disciplines and formats. 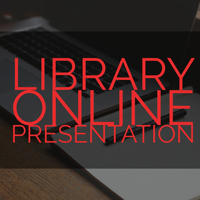 The Library announces the Online Presentation schedule for the Fall 2018 Semester, where a live research expert will demonstrate library resources and offer advice on making the most of our services. This semester's schedule includes in-demand topics such as Business and Management Research, Academic Integrity, and Mendeley Reference Manager.